The April jobs report was a disappointment. The US economy added 160,000 jobs in April, the fewest since October 2015 and well below expectations for job gains of 200,000. And while any and all disappointments relative to the headline number get those who are bearish on the US economy all excited, this is really the kind of jobs report we’ve been waiting to see. As the US economy pulls closer to full employment, economists have long argued that the pace of payrolls gains will simply have to slow down. In a speech last year, San Francisco Fed president John Williams said that once the US economy is “operating at full strength,” only 60,000 to 100,000 new jobs are likely to be created each month. 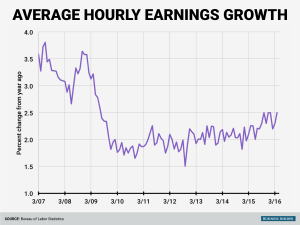 In April, hourly earnings rose 0.3% over those of March and 2.5% compared with those of April 2015. 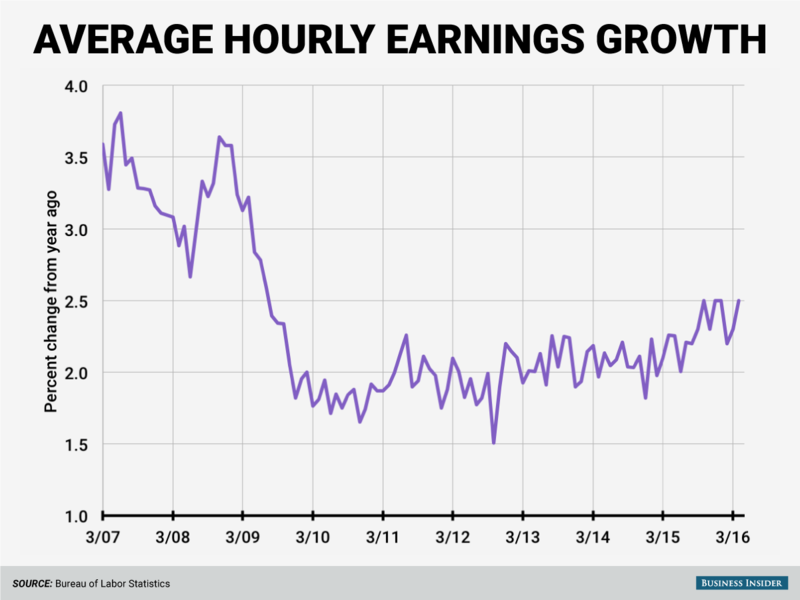 This annual rate of wage gains matches the fastest we have seen since the crisis — wages rose 2.5% year-on-year in both January and February. Of course, also hitting our inbox shortly after the jobs report were calls for another round of quantitative easing from the Federal Reserve before its benchmark interest rate — currently pegged between 0.25% and 0.50% — hits 1%. And according to data from Bloomberg, there are no Fed meetings with as much as a 50% chance of an interest-rate hike out to February 2017. So the markets are taking Friday’s report as another sign the Fed isn’t going anywhere. And maybe it isn’t. But a disappointing headline out of Friday’s jobs report is not an indictment of the US economy. Because if the US economy continues to grow slowly but surely and the labor market remains intact, Friday’s report of modest job gains and solid wage growth is something we should all get used to. 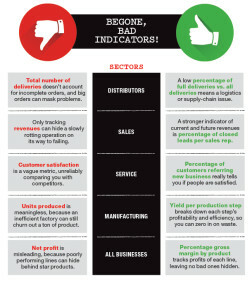 This story first appeared in the May issue of Entrepreneur. To receive the magazine, click here to subscribe. Americans are saving more money, and it’s becoming a problem for economic growth. In a big note out Wednesday, Peter Hooper and the economics team at Deutsche Bank look at the recent rise in the savings rate and what it means for the future of US economic growth. In short, Americans are taking potential growth and sticking it in their pocket. Growth has slowed meaningfully over the last two quarters, and the deceleration in consumer spending, which fell from a 3% annualized growth rate in Q3 2015 to 1.9% in Q1 2016, has been an important driver of this slowdown. Our analysis suggests that while the saving rate may stabilize and even fall slightly, a sharp decline that would significantly boost consumer spending is unlikely. Therefore, while growth is likely to pickup in the quarters ahead, it should also remain modest. 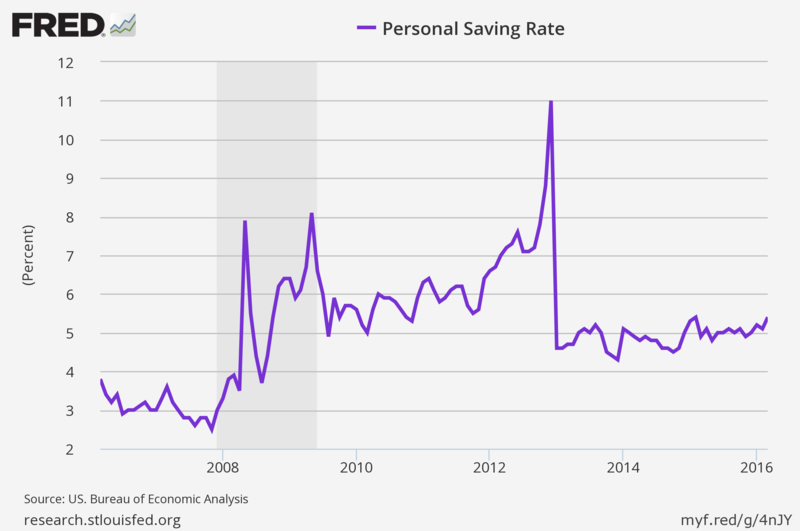 Now at 5.4%, the savings rate is still low(ish) on a historical basis. But the recent uptick has been confounding to economists given not only the decline in oil prices but the strength of the labor market. The thinking here being that if you’re saving money on gas, you might spend it, and that if you go from having no income to some income, you’ll spend that, too. This isn’t the first time we’ve written about how the savings rate’s increase is problematic for an economy driven by consumer spending. See here and here. Consumer spending accounts for about two-thirds of gross-domestic-product growth. This ranges from people buying stuff like clothes, cars, and televisions, to food, to services, to gym memberships. And the math on this is simple: More saving equals less spending, which nets less economic growth. 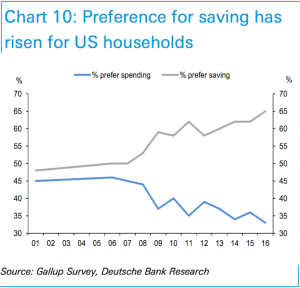 But the puzzlement from the economics community on why savings are increasing is always an interesting line of thinking to explore. 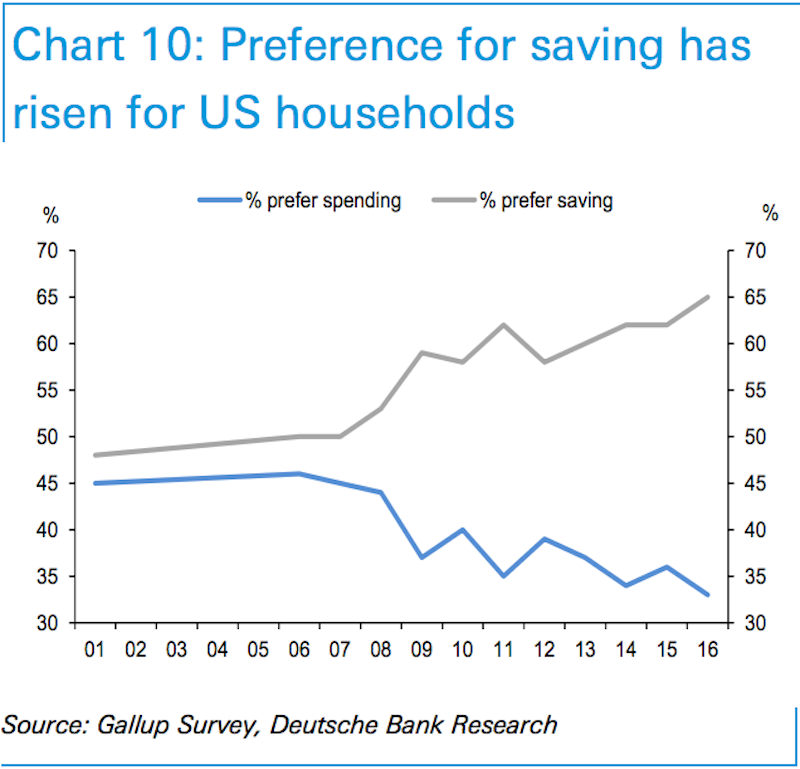 In its report, Deutsche Bank includes the following chart, which shows a clear preference for Americans to save rather than spend money since the financial crisis. Assets of all types declined in value during the financial crisis. Most notably among these assets were home prices, which are a major driver of consumption. And so it’s easy to see why Americans went from wanting to save and spend money in equal proportion to essentially saving $2 for every $1 spent. One of the curious anomalies of the current stage of this economic expansion is the more measured role being played by the consumer. Despite the seemingly supportive combination of improving labor market conditions, rising wages and salaries, and lower energy costs, consumer spending has not expanded at the pace many would have expected at this point. Instead, consumers appear content to simply continue socking away the windfalls from both wage gains and energy price declines, as evidenced by the rise in the domestic savings rate. Now, the thinking here is sound: If someone has less money and then the next day has more money, the person might want to spend that extra money. Additionally, with the labor market strong it seems that conditions are ripe for more Americans to expand their spending and, ideally, even use a little bit of a leverage to stretch that power further. But thinking that American consumers would prefer to save rather than spend additional income just a few years after the worst recession since the Great Depression does not at all seem crazy to me. To make up for a loss in net worth, you’d think that “save more” is about the easiest fix one could make. Of course, economists are not entirely blind to this dynamic of postcrisis uncertainty driving consumers to save rather than spend. But struggling to understand why Americans might be more inclined to save money after having seen their net worth plummet almost overnight is the kind of argument only an economist could really love. In a note to clients on Friday, UBS strategist Julian Emanuel suggests that a few signs pointing to the “endgame” for stocks are coming into view. The basic outline is that once the Fed starts raising interest rates the wheels are set in motion for the stock market to go lower. Emanuel notes that both the 2000 and 2007 stock market sell-offs have been preceded by a collapse in merger activity and a rotation into financial stocks and out of utility and consumer staples. 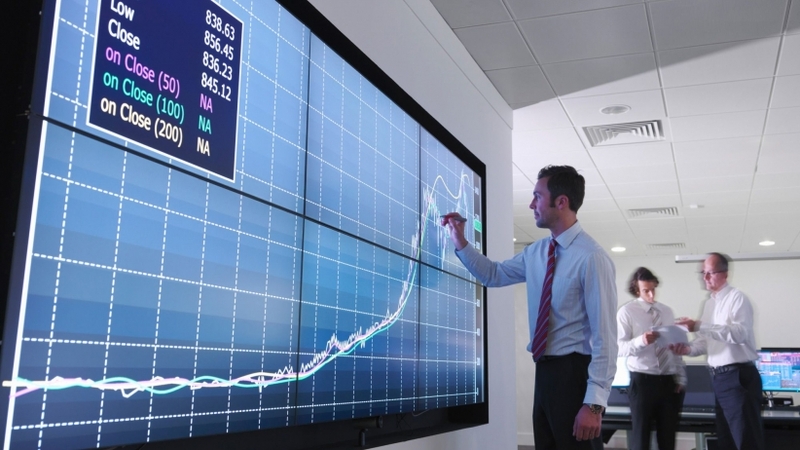 The same themes have been playing out in markets recently, and it has Emanuel nervous. “And while age alone does not portend the definitive end of a Bull Market,” Emanuel writes, “the current rally, at 2,611 days, is now the second longest in modern history, behind only the 1990-2000 bull market. 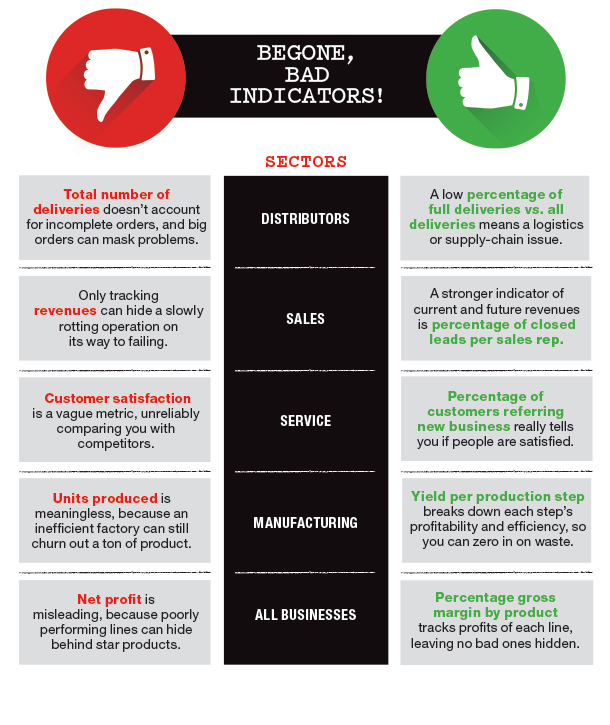 Mergers are seen as possibly the clearest sign that investors and corporate managements are confident in the current market and economic cycle. You could perhaps see merger activity as the corporate equivalent of a consumer-confidence survey. 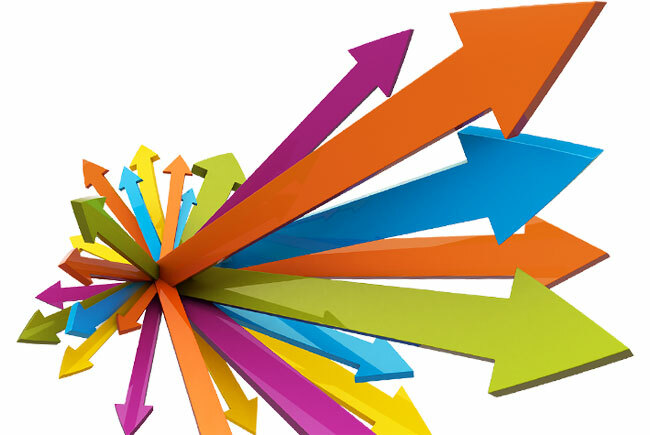 Additionally, markets have seen a rotation into financial stocks — which are expected to benefit from higher rates — and away from consumer staples and utilities, which are often big shareholder-return stocks that supplement fixed income in times of low rates. The equity market volatility comes on the heels of the Fed’s first rate hike in 9 years, on 12/16/2015, with the first hike in the cycle traditionally being the demarcation point for the ‘countdown to the bull market peak’ with an intervening ‘time to the top’ of as short as 8 months to as long as 41 months post the first hike. The leadership change of recent weeks, into Financials and away from Utilities and Staples is reminiscent of the last stages of the 1999-2000 bull market top. And so simply put, two things are happening in markets right now that have historically preceded the end of big bull market runs. Now, despite the warning signs coming from the market, Emanuel still thinks we’ll see new highs in the stock market this year, with his year-end price target for the S&P 500 sitting at 2,175. 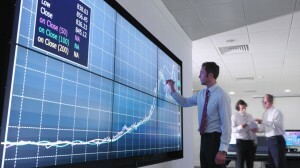 On Friday morning the S&P 500 was trading at about 2,060. And as Emanuel notes, stocks usually do go higher after the beginning of an interest-rate-increase cycle. But it is this interest-rate increase that puts the eventual demise of the market in plain sight. Do you ever feel overwhelmed at work, like you don’t know why you’re there because you just can’t seem to accomplish anything? You’ve tried every trick in the book, you’ve scoured the web for tips on getting more organized, but the idea of becoming more productive just makes you dizzy. Well we’ve compiled a few fresh ideas that’ll trick your brain into being better, faster, stronger with little to no effort! 1. Think Positive. We’ve said it before and we’ll say it again: the more positively you think about yourself and your work, the more productive and accomplished you’ll actually become! Never underestimate the power of self-validation. The more you believe that what you’re doing makes an impact, the faster it will manifest into truth. If you think of yourself as unproductive, you will become unproductive. 2. Eat Smart…foods! You are what you eat: eat junk, work like junk. Eat strong, work like a beast! Foods that have high levels of caffeine and processed sugar are terrible for brain activity. That grande latte with an extra shot of espresso or that canned energy drink might give you a jolt of energy and make you feel like you’re awake and getting a lot done, but in reality, you’re just experiencing an overwhelming rush of adrenaline and that always wears off. Instead, try boosting your brain cells with magnesium and fiber packed foods like pumpkin and sunflower seeds, nuts, blueberries, fish, tomatoes, dark green vegetables, avocado and chocolate…oh, yes we did! Just make sure it’s at least 70% dark chocolate or even a handful of cocoa nibs mixed in with some Greek yogurt or sugar-free oatmeal. 3. Get Smelly. Aromatherapy has been used for centuries for several purposes. The olfactory bulbs are little nuggets of nerves connected to the parts of the brain that control processing learning, memory and emotions. The best scents for boosting productivity are lemon and other citrus fruits as well as cinnamon. Lavender, peppermint and rosemary are all very calming, which can help you relax and focus on work, but you risk your workspace smelling like Grandmother’s cottage. You can boost the effect by drinking hot tea with lemon or keeping lemon and orange infused water in a bottle on your desk. 4. Pump It! Get the blood flowing and oxygen circulating by working out while you work. Check out some of our previous posts on getting a little exercise at work for some ideas. In general, just walking around while making your phone calls, or hand-delivering your memos instead of texting them gets your heart rate up and your brain functioning at top performance! 5. Do Puzzles. Exercise your brain, too, by keeping some puzzles at hand. Crosswords, a Rubik’s cube, Sudoku, and other brain teasers are a great way to take a mental break from work, but exercise cognition and problem solving skills. 6. Be a Dictator…to your computer. Programs and software like Dragon are great. Load them onto your computer and you can just verbalize any file you’re searching for, rather than doing it manually and working longer on one thing. Plus, by vocalizing tasks, you are able to focus more intensely on them rather than getting derailed by another train of thought. The riptide of the stream of consciousness is a hazard that no lifeguard can save you from!…wait…what were we just saying…? 7. Last but not least, take a nap! You hated naps as a kid, you abused them throughout college, and now you secretly plan to bring your blanket and pillow for a secret cat nap under your desk every day. Well don’t feel bad. A shocking number of Americans are coming to work sleep-deprived, which makes them sloppy and slow about their work. Falling asleep at your desk is considered humiliating and lazy. However, in countries like Japan, if an employee falls asleep at their desk for a few minutes, they are considered to be dedicated workers and are left alone! A short 20 minute snooze can reset your break, enhance awareness and creativity, and of course, boost your mood! Have a tricky problem to solve at work? Sleep on it! Take a few minutes to close your eyes and the answer will be clear once you’re ready to work again. Several modern companies have facilities on site where employees are encouraged to nap, but that’s not in everyone’s budget. During your lunch break, go out to your car or a seat outside and just relax for a bit and see what a difference it makes! Well, there you have it. Put a few of these life hacks in place and try to measure just how much more productive your life becomes over the next week of two. We’re confident that any number of these will add up to a much happier, healthier, and more productive you!